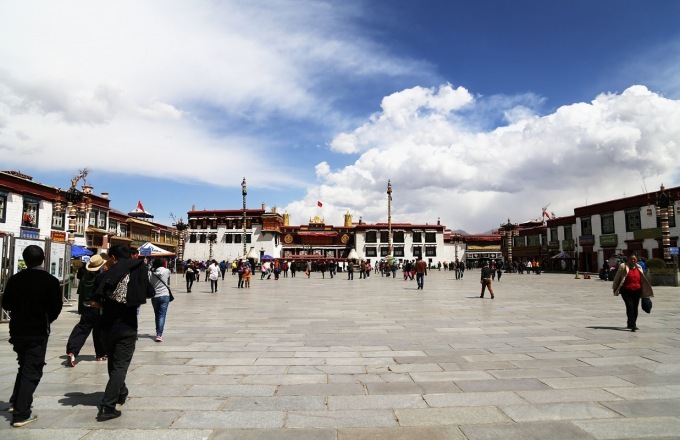 Enjoy 4 days in Legendary Lhasa and 7 days on the surreal Friendship Highway with a private English-speaking guide. Morning flight to Lhasa where you will be greeted and transferred to your Lhasa hotel. Visit Jokhang Temple and Barkor Market in the morning and Drepung Monastery in the afternoon. Today you will visit Potala palace and Sera Monastery. Drive for 6 hours from Lhasa to Tamdrok Tso then to Gyantse. Explore Gyantse in the morning, visiting Gyantse Kumbun, Peldor Cheode, and Gyantse Dzong then drive 1.5 hours to Shigatse. Explore Shigatse and visit Tashilumpo Monastery in the morning then drive for 6 hour to Shegar, via Sakya. Drive for 6 hours over the pass and into the Rongbuk Valley. Travel by pony cart to Everest Base Camp then continue to Tingri. Cross the border into Nepal where you will meet your Nepali guide and be transported to Kathmandu, 3 to 4 hours in total.